Love the color and texture..stunning shot!! Amazing comp, contrasts, light and shadow; love this! WOW! Thanks so much for all the wonderful feedback. Your comments mean a lot to me. This building is located in Newark. I loved the ladder of the fire escape and the shadows it cast on the brick wall. 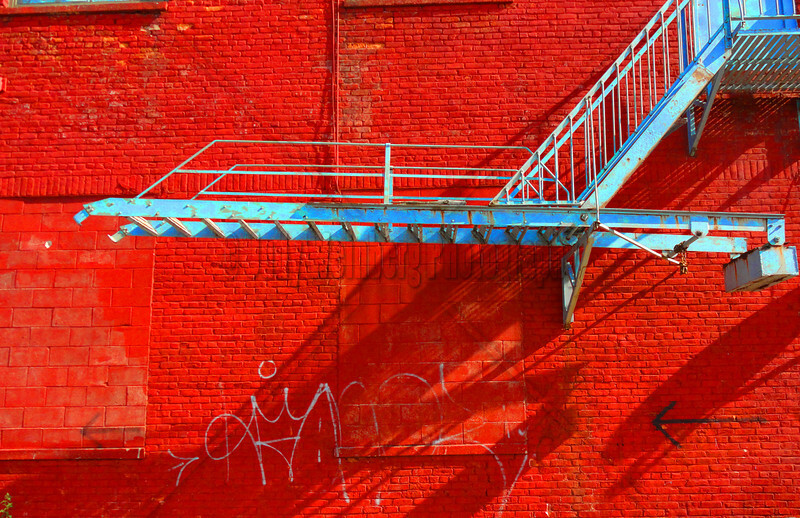 The ladder and fire escape made me want to bring a brighter/hotter red into the photo so I over saturated the colors. Fabulous colors, angles, textures, shadows and light... very cool! Love this red hot shot!!! !